Diwali is one of the most auspicious and significant festivals in India. Also called as deepawali or deepavali, this festival is commemorated and celebrated by Hindu with so much pleasure and mirth. From the words “deep”, which means light and “avail” which means a row, diwali festival is also known and called as “the festival of light”. The five-day celebration of diwali is literally filled with bright lights and luminance. You can feel the joy and fun of the festivity in the air. Everybody seems to be in a fun and frolic mood. Diwali festival starts on the day of Dhanteras, the first day of diwali, and ends on Bhaj Dooj, the fifth day of Diwali. This festival usually falls between October and November. Weeks before the actual celebration, you can see everybody getting prepared for the diwali to come. Markets are filled with Diwali decorations items for homes and offices. Diyas and other diwali gifts are offered as well. People start cleaning and decorating their homes. Get to know more about the celebration of Diwali and how Hindu celebrates this festival of light. Before we discuss about the activities and customs observed during this holy festival, isn’t it better to know why Hindi celebrate this day in the first place? Then, one must know the significance of the diwali first. According to the legend, Diwali commemorates the day when Lord Rama return from defeating the evil king Ravana and rescuing his wife Sita. Overjoyed with the triumph of their lord, people in Ayodhya lit up rows of diyas (small earthen oil lamps) and burst firecrackers as a welcome gesture. But simply put, Diwali is a celebration of the victory of light over darkness. This is the time when the goodness overruled the darkness. During the Diwali festival, despite of the status or class in society, people celebrate the day with equal zeal and merriment. Hindu communities let themselves enjoy the pleasures that the festival brings. Different activities are held on the day of deepawali. Most of these activities offer ultimate enjoyment and fun! Diwali is the time when people can actually forget the time and just enjoy the lavish feast. Women in every household prepare yummy delicacies and sumptuous meals for the family, friends and neighbors to enjoy. Everyone are welcome to eat. Some may even call you to eat to their home and enjoy the lavish lunch or dinner together with the family. Feasting may not be compulsory during Diwali, but many people in India are more than willing to spend a lot and host a grand feast for they believe that its strengthen the unity of the family and friends and social ties. Diwali is also considered as New Year for Hindus. The defeat of darkness means new beginning for people in India. That’s the reason why they celebrate Diwali with firecrackers, just like what people do when celebration of New Year on January 1. It is believed that the noise produced by bursting firecrackers chase evil spirits away. There may be harmful effects in using firecrackers due to its chemical content, it can’t stop people from using them. Now, to keep you safe from these harmful effects and prevent you from harming others, you should use firecrackers that are safe to use. If the children wish to burst firecrackers as well, be sure there are adults to guide them. Diwali is started as the celebration of the victory of Lord Rama. People shared sweets and messages while sharing the news about his return. That tradition is still follows. People share Diwali messages and Sweets to neighbors and relatives. Distance friends and relatives send Diwali cards to their friends through internet or post. A few days before the Diwali, people are cleaning and decorating their homes. They make sure that every corner of the house is prep up for the festival. It is believed that Goddess Lakshmi visit the people on Diwali. And for them to welcome the Goddess of Wealth, they should clean the house and decorate it with beautiful Diwali Decorations. They use flowers, garlands, new embellishments, lanterns and wall hanging to spruce up their home. During the festival of light, you can see every household having their rangoli designs in their entryway, porches or front doors. 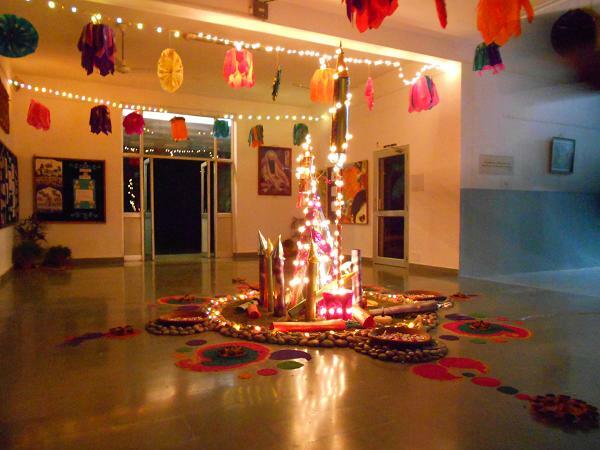 Rangoli is an artwork made of colored powder or flowers. It is also called as muggu or kolam, depending on the regions. They feature bright colors and decorative themes. 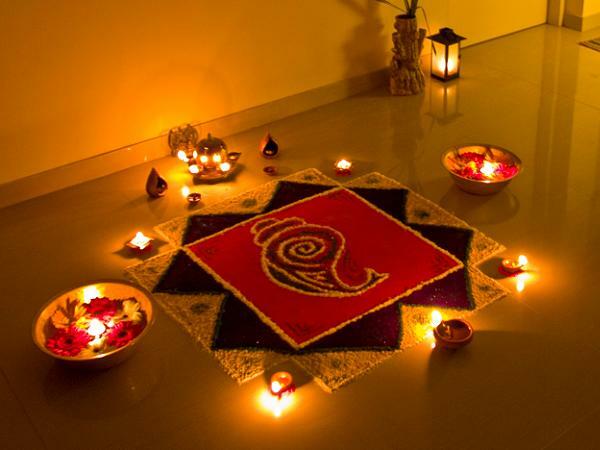 Rangoli making is believed to be a gesture of welcoming Hindi deities in their home. 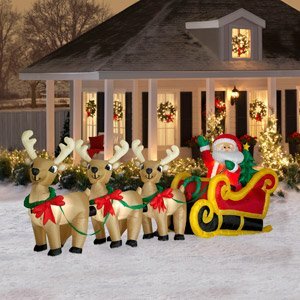 Creative people take opportunity to explore and exercise their creativity when holiday approaches. No difference when it comes to Diwali. If you love crafting, then this is the best time to create decorative crafts that you can use to decorate or give to loved ones as gifts. Making and painting diyas is one of the most popular crafting among kids and women. Others may also create decorations out of paper or recycled materials. There are a lot of different games that one can play during the deepavali. Amongst the most popular is playing cards. This is considered as the oldest diwali traditions. It is also played for pastimes or just mere fun jerker. One of the most popular card games is rummy. You can play this game with or without at stake, depending on what you and your playmates want. Aside from playing cards, indoor games like pass the parcel, puzzle, musical chair, and outdoor activities like hide & seek, scavenger hunt, etc offer great pleasures on diwali. People used to say that in every festival, there should have some sweets, else it’s not complete. Same goes with Diwali. 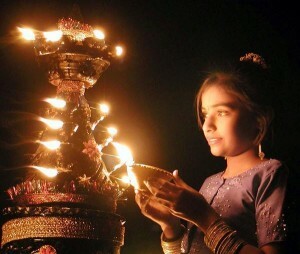 During the festival of light, people in India prepare mouthwatering and yummy treats for the whole family and neighbors. Sometimes, they even pack them to give them away to their friends and neighbors on the day of Diwali.